Home / Shipping News / Marine Insurance P&I Club News / Marine fuel – a toxic mix? The problem was originally detected with bunkers supplied in the US Gulf, but has since extended to Panama, Singapore, Hong Kong and Korea. This exposes ships’ crews to unacceptable dangers, with the potential for environmental catastrophes, vessels suffering physical damage, and owners and operators suffering loss of earnings. Gard shares these experiences with our Members and assured clients, as we are a hull underwriter with responsibility for insuring physical damage to main engines and loss of hire insurance. We are a P&I club which covers crew risks and fines, and we also offer a Comprehensive Charterers cover which is impacted by liability to owners for contaminated fuel supply damage. Further, our Defence lawyers frequently advise on rights and responsibilities between owners and charterers with respect to bunkers supplied to the vessel. Shipowners who transport about 90% of world trade, together with their insurers, are facing increased regulatory and environmental compliance pressures. Shipowners need the certainty of knowing they have access to readily available, economic fuel supplies of good quality. Intertanko has published a critical review and called on governments and regulatory authorities to take a firm stand. They have also called upon their tanker members to send in examples and details of incidents experienced. IMO’s Sub-Committee on Pollution Prevention and Response (PPR) is developing guidelines to support the implementation of the 2020 sulphur limit. As part of this process, the Sub-Committee will review best practice guidance for fuel oil suppliers, as well as best practices for member states/coastal states to assist with compliance, and enforcement of their responsibilities. This will fall under MARPOL Annex VI and will be considered at MEPC 73 in October 2018. To encourage further debate, we reproduce an article written by Michael Grey, which highlights the issue of contaminated fuel. He discusses how such fuel would be considered unacceptable in the aviation or automobile sectors, yet the problem has been permitted to continue in the maritime field. It is probable that dodgy fuel or lubricants that did not work are the cause in a surprising amount of casualties. The Summer holidays are here and roads are filled to capacity with eager travellers, their cars laden with fuel and anticipation of sunshine and leisure. But just imagine if you were a few miles into your journey along the M4, or, disgorged from Eurotunnel’s Le Shuttle and tooling down the autoroute from Calais and your car’s engine suddenly started to miss a beat. It gets worse with horrid metallic sounds coming from the mechanicals, while several warning lights appear on the dashboard. You summon the emergency motoring service as your fretful family seethes by the roadside. The examination by the expert is brief and the report succinct, but fatal to all your hopes of a stress-free holiday. Contaminated fuel is the problem and the frightful contaminants have wrecked your engine. Indeed, the car is probably a write-off as the interior linings of the cylinders have been scoured like the surface of a non-stick frying pan after some oaf had used a wire brush on it. “It’s happening all the time, these days”, says the expert, which seems little consolation. “Did you take a sample at the filling station for laboratory analysis?” He probably already knows the answer. Just imagine if an aircraft was barrelling down the runway for take-off, or many miles into a long flight, when all the warning lights glowed and alarms noisily warned of an imminent engine failure because of fuel contamination. You cannot contemplate the consequences and there are endless precautions to ensure that such events never happen. At least in advanced industrial nations, we happily drive into a filling station and pour fuel into our tanks without a single thought, other than idly wondering why oil companies are so quick at pushing up the price at the pumps, but so tardy in reducing it, when we are awash with oil. There is a degree of quality assurance in fuel that the refiners insist upon, whether it is being sold for road vehicles, aircraft or trains. Their reputation and indeed lives depend upon it. It seems hard to believe this, but big ships once pulled into bunker supply stations with the same carefree attitude as today’s motorists, their chief engineers not anticipating that something nasty in the fuel might wreck the engine. They may worry a bit in some ports that the actual measurement could be a little — how can we put it politely — “weighted” on the side of the supplier, or that the dim fourth engineer might be rather slow in turning a valve and pour half a tonne of heavy oil all over the pristine decks. But quality in the days when the oil companies were supplying fuels was rarely an issue. So why, years after the first alarms about fuel contamination were raised, is this still a problem and regular warnings about fines, chemical contaminants and other frightful engine-wrecking additives are published? It is not happening in some backward third-world and out-of-the-way port that a vessel desperately short of fuel is forced to use, but in some of the greatest ports in the world where the throughput of bunkers is huge, and the suppliers are not small, fly-by-night operatives but major companies, albeit not the oil company refiners. 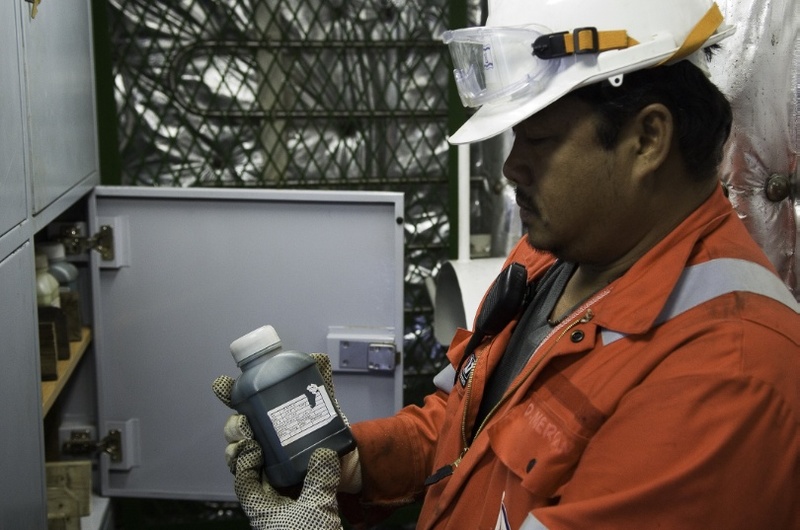 There is something endemic here about the processes, whereby some bright spark tips a quantity of shale oil into a tank of marine heavy oil or thinks it a tremendous wheeze to get rid of a tankful of harmful chemicals that would cost a great deal for disposal in the same way. Surely the all-forgiving mighty diesel fuels used by ships will ingest it without a murmur. Sadly, this is not the case. It is not good enough to suggest that if shipowners are only prepared to pay for the filth accumulated at the bottom of the barrel, which is often fit only for spreading on roads, then they cannot expect a quality product. Do not trading standards apply to marine fuels? It used to be darkly assumed that all these alarms were a plot by fuel testing laboratories to drum up business, but alas, contamination is reality in all too many instances and those cheapskates who fail to take precautions are risking wrecked machinery. We never hear how many of the ships disabled because of “fuel problems” found themselves in this state because of dodgy fuel or lubes that did not work, but it is probable that it is a cause in more casualties than you may think. It is also worth considering that we are entering a new era of precise onboard fuel management in which the performance of the fuel in terms of harmful emissions is far more critical than it has ever been. Bad fuel has always put seafarers’ lives and their ships at risk, which seems to have been a priority that has been largely overlooked at a time when fuel cost was the universal focus. To the list of consequences for having off-spec fuel in the tanks, which include the loss of a ship on a lee shore, now when the port state control comes to call we can add detentions, fines and other serious financial consequences. Maybe it will take these shocks, if not to drive up the quality, to at least ensure that what you buy will not damage your machinery and it may just save the chief engineer from serious levels of stress.